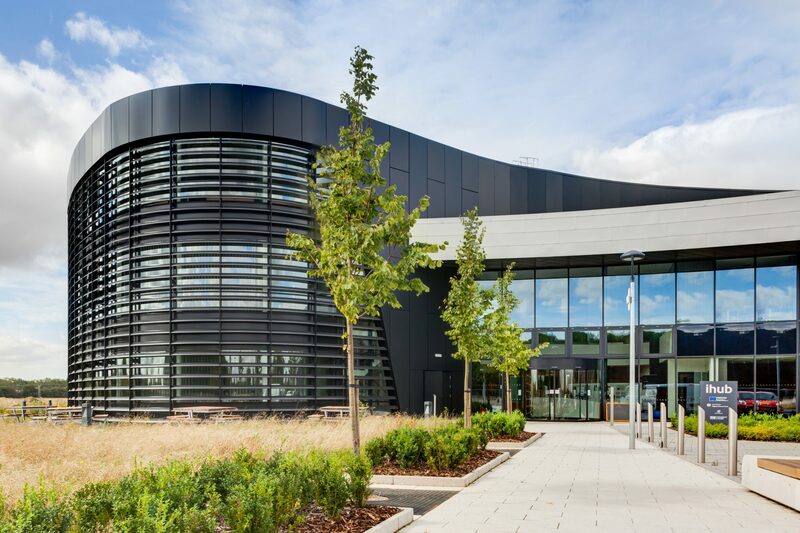 Franklin Ellis designed the recently completed Derby Innovation Centre, now known as the ‘iHub’. 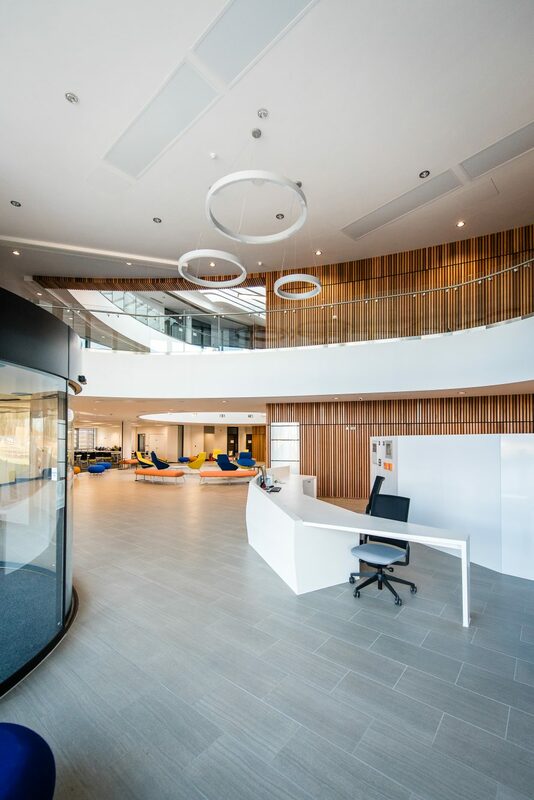 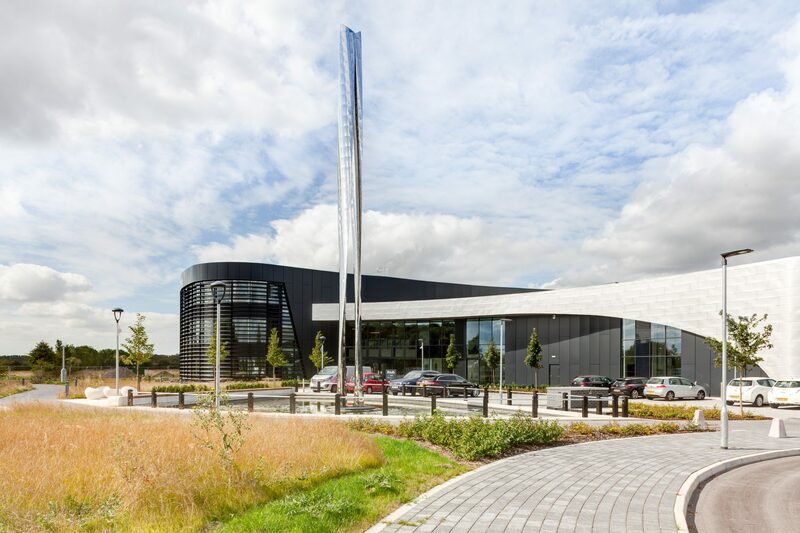 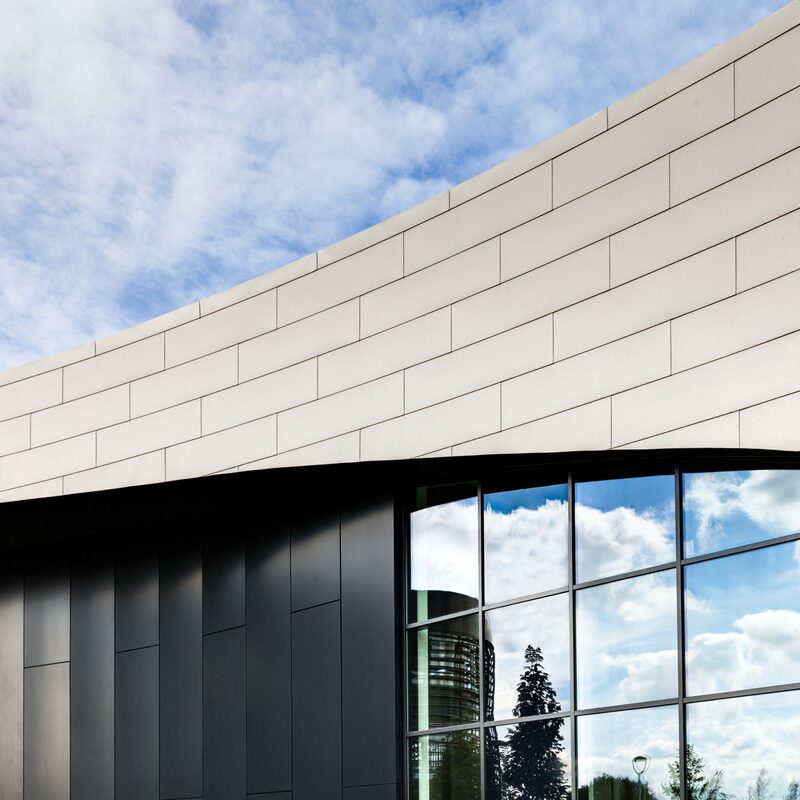 The building forms the centrepiece of Infinity Park, a new 250-acre global technology cluster located near Rolls-Royce’s civil aerospace HQ between Chellaston and Sinfin. 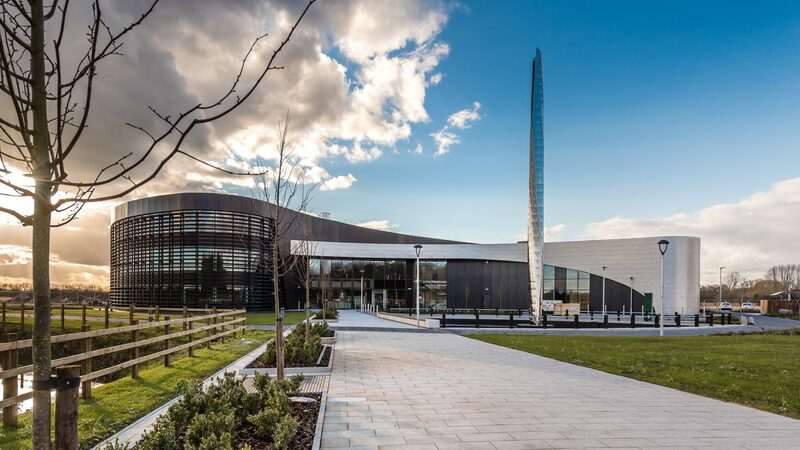 The site is connected by the new T12 link road. 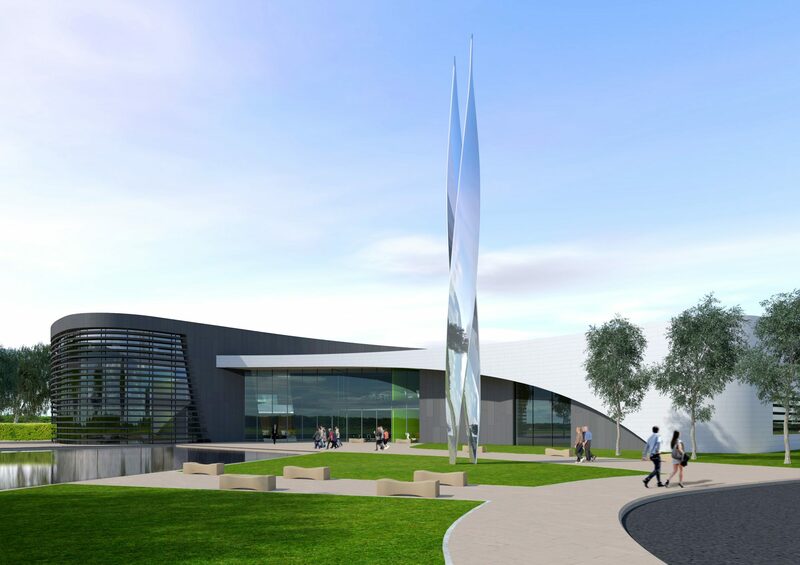 The design reflects Derby’s manufacturing heritage of trains, planes and automobiles – and the aspiration for these industries to flourish in the 21st century. 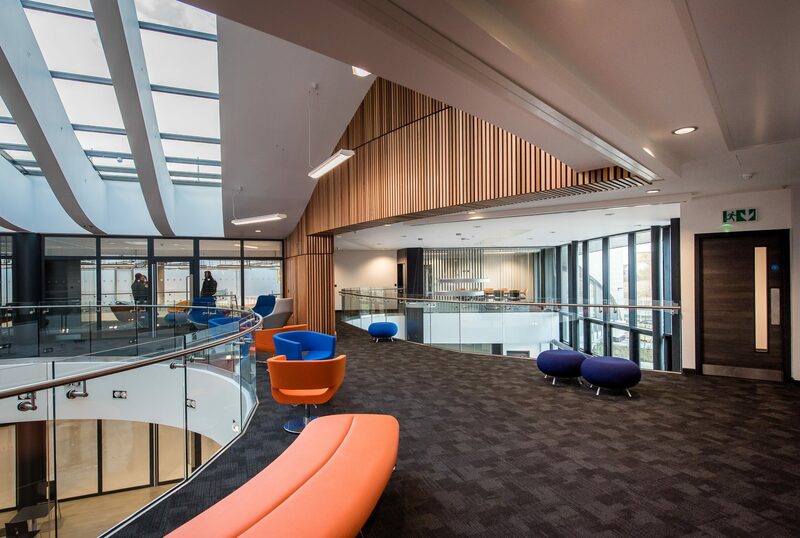 The Centre offers a range of lettable workshop, studio and office spaces to the Derby marketplace for the technology innovation sector. 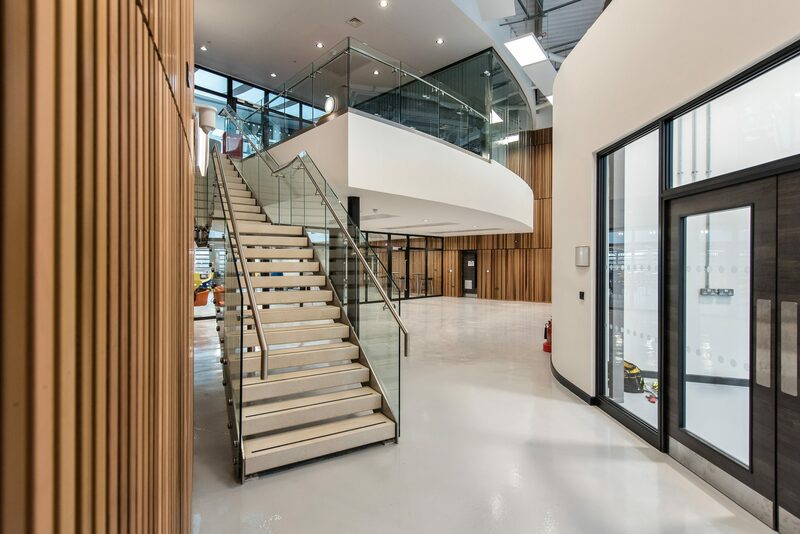 In addition the centre has public and common areas that support the ambition to promote open innovation practices, including demonstrator space, rapid prototyping ‘fab labs’, meeting and hospitality facilities. 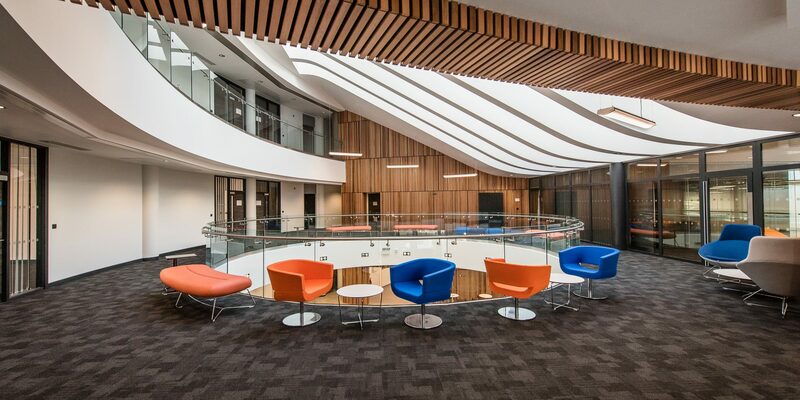 Derby-based construction firm GF Tomlinson led the consortium which originally won a design competition for the centre, before constructing the building to BREEAM ‘Very Good’ standard. 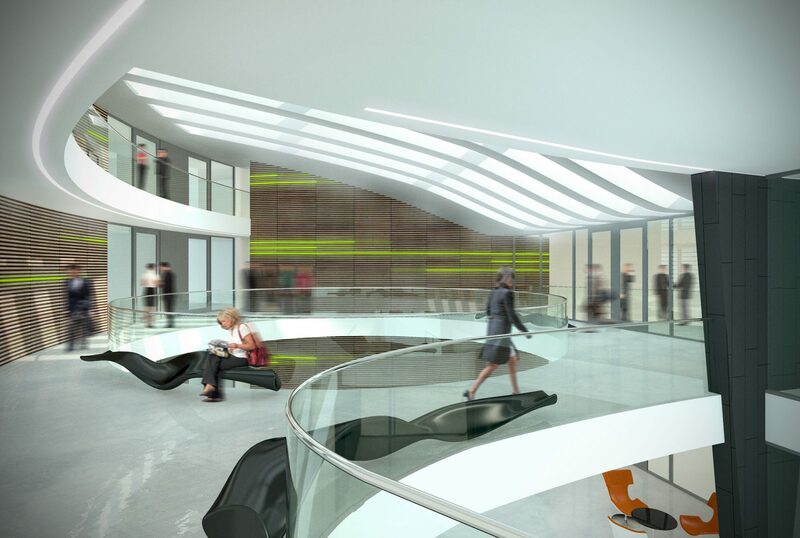 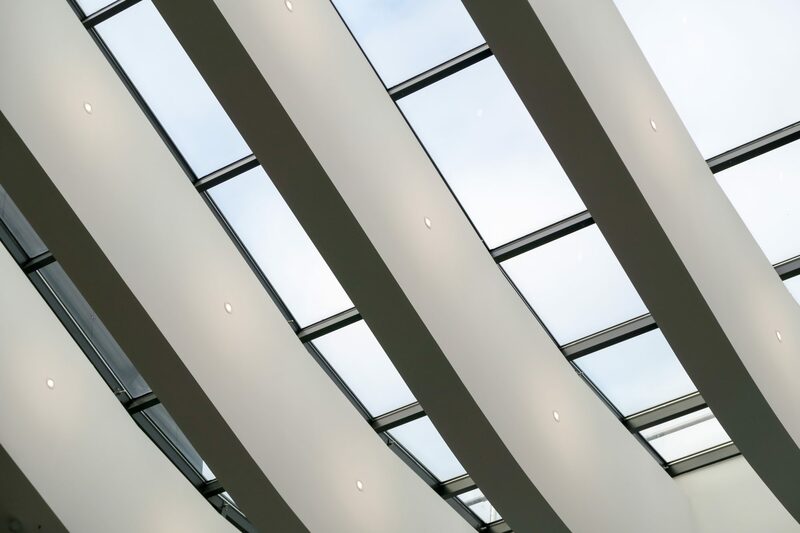 Franklin Ellis Architects led the project team in the use of Building Information Modelling (BIM), to design and deliver the project in-line with the government drive for all public buildings to be delivered using BIM.